Planning a funeral is a time when you can honor the memory of your loved one. Not only can you share the memories that were built over the years. But, you can also highlight the full life that was lived. 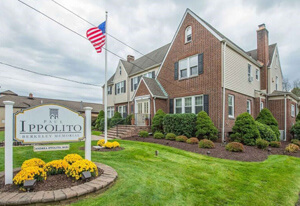 If you want a unique, personalized funeral, then it is essential that you choose the leading provider of funeral and cremation in Madison, NJ: Paul Ippolito Memorial. We believe that every family should have the opportunity to design funeral services based on their preferences, traditions, and desires. Instead of offering the same funeral plan for every event, our team strives to personalize the details based on your requests. We start this process by offering information on our website about the services that are available. You can read through the offerings to get a feel for the way you would like to design the funeral. Or, you are welcome to contact us directly if you prefer to talk to someone in person. We will gladly schedule a consultation so that we can have a conversation about the details of the event. Our team always offers a caring, supportive environment where you will feel safe to discuss your needs and preferences. Funeral or Other Event: It is important that you determine the gathering location, size, and features that will accommodate those who are working through the grief. Meeting together to share memories and thoughts is an essential step in the healing process. Everyone is facing the loss, which is why it is necessary to meet the needs of those who will be attending. Our team at Paul Ippolito Memorial can support with a range of options for funerals and memorials. For example, you might consider an intimate gathering with close family members. Or, use our larger gathering rooms for a big, traditional event. Caring for the Body: Additionally, you also need to choose how the body will be cared for after death. Do you want to have the person laid in a casket and placed in a cemetery? Or, do you prefer the flexibility that comes with cremation? Both burial and cremation can be paired with any other funeral services that you choose. Talk to our team about the pros and cons of each option. We can also provide a price list to make it easier to manage your budget for the upcoming event. Even though these decisions are related, you don’t have to face the most difficult details in one sitting. Our team has a proven system in place that helps to reduce your stress through the funeral planning process. We take it one step at a time, with our staff handling the details behind the scenes. You don’t need to worry about anything because we will take care of all of the services that are needed to accommodate your plans and requests. 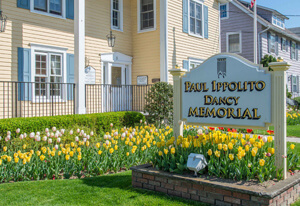 When you choose Paul Ippolito Memorial, you will see that we take a concierge approach for funeral services. Our team is working hard to offer affordable solutions without reducing the quality of services that are offered. If you are preparing for a funeral in the future, then the best approach is to choose our team for assistance. We have funeral packages available that include all of the popular services that might be required. Or, you can adjust the plan based on the preferences of your family. We believe that everyone should have a unique funeral service. So, we strive to offer custom solutions for every event. This concierge approach means that we provide more than the basic transportation and logistics. Additionally, our team is looking for ways to lighten your load and offer more support before, during, and after the funeral or memorial. You can always tap into the resources that are offered, with the peace of mind to know that you don’t have to navigate the industry without help from an expert funeral director. 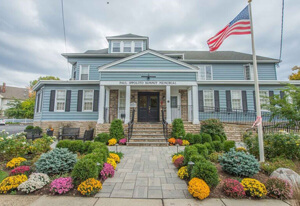 At Paul Ippolito Memorial, we can accommodate every size of gathering for funeral and cremation in Madison, NJ. If you want to have a small, intimate memorial, then we have cozy rooms that can be used. Or, you might consider holding the event in your home or at another location in the area. On the other hand, we can also assist with large, traditional funerals. These big gatherings can be held in our funeral home, or we are happy to provide the staff that is needed for a church or event center.